Ballet- Dale Serrano Dance Studio instructs classes at the civic center on Monday and Thursday evenings. Children ages 2 ½ and older are encouraged to register. To enroll call 205-822-6378. Tumbling- Classes are held on Mondays from 3:30-5 pm. The fee is $40 per month. This class is open to children ages 5 and older. Aerobics- This low impacts aerobics class is suitable for all ages. Classes meet Monday, Wednesday and Friday mornings from 8 am-9 am. The fee is $25 per month. No registration is required. JMK Martial Arts- Registration will be held at the civic center on September 5 from 6:30-8:30 pm. For class locations, dates and fees visit www.jmkmartialarts.com. Hartselle Shining Star’s Softball League- This league is open to male and female athletes with special needs. Players must be at least 6 years old by September 26. There is no age limit for this league. Games will be played every Tuesday and Thursday at 5:30 pm beginning September 26 at Grady & Margie Long Complex. There is no cost for athletes. The league will provide jerseys, game day refreshments for athletes, equipment and end of the season medals. We are currently seeking volunteers for the following positions: coaches and player assistants. There is a $15 fee to volunteer. This fee covers the league t-shirts and other expenses. All volunteers must attend one of two training sessions. All players and volunteers need to be registered no later than September 1. Call the civic center if you are interested in making a monetary donation, donating equipment, or if you are interested in becoming a team sponsor. Baton- Former Crimsonette and current high school majorette coach, Kim Roberson, will be instructing baton classes beginning September 7. Classes will be held at 3:30 pm, 4:30 pm and 5:30 pm. The fee is $50 per month. For more information contact the civic center at 256-773-2581. Multiple Sclerosis Support Group- This group will meet on September 18, October 16, November 20 and December 18 at 6 pm. Hartselle Senior Center- Area seniors ages 55 and older meet Monday- Friday from 9 am-noon for food, fellowship and fun. There is a suggested daily donation of $1.25. Meals are available for home-bound delivery and transportation is also available. For more information contact Steve at 256-773-0786. Depot Days- This year’s Depot Days festival will be held September 16 in historic downtown Hartselle. There will be games for kids, craft vendors, food vendors, entertainment and more!! 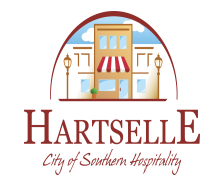 Contact the Hartselle Area Chamber at 256-773-4370. 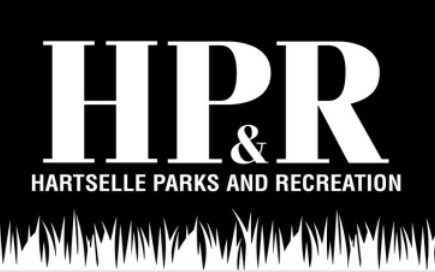 Girls Basketball Registration- Hartselle Girls basketball registration will be held September 11-September 29 during normal operating hours of the civic center. This league is open to girls ages 7-12. The birthday cut off is September 1. The registration fee is $70. New players must bring a copy of their birth certificate to registration. Coed Basketball Registration- Boys and girls ages 5&6 are encouraged to register for this league. Registration will be held on September 11-September 29 during normal operating hours of the civic center. The fee is $70 per player. September 1 is the birthday cut off. All new players must bring a copy of their birth certificate to registration. September Painting Party- Back by popular demand!! This party will be held on September 21 at 6 pm. The fee is $20 and includes all supplies. You may choose from a sunflower door hanger or a Welcome sign door hanger. This is a DIY class, step by step instruction is not provided. Please pay and register no later than September 15. Boys Basketball Registration- Registration will be held every Thursday in October from 6-8 pm. The fee is $70 per player. The birthday cut off is September 1. All new players must bring a copy of their birth certificate to registration. Hay Day- Bigger and better than before!! Join us on October 28 from 5-8 pm in downtown Hartselle for games, hay rides, food trucks, inflatables and of course lots of CANDY!!! This event is free! If your business is not located downtown but you would like to get involved contact the civic center at 256-773-2581. There is no fee to set up a booth but you must register no later than October 20. Cooking 101- If cooking Thanksgiving dinner scares you, this class is for you! You will learn to make chicken and dressing, sweet potato casserole and banana pudding. This class will be held on November 2 at 6pm. The fee is $20 per person and includes all supplies. This class is geared toward adults. Please register and pay no later than October 30. Pallet Art Class- We will create a double sided scarecrow/snowman pallet design on November 9 at 6 pm. The fee is $30 per project and includes all supplies. This is a DIY class, step by step instruction will not be provided. Please register and pay no later than November 3. Upcoming Events- Christmas Canvas Painting Party, Breakfast with Santa, Candy Cane Hunt, Men’s Basketball League, Southern Market Days “Farm Fresh” Vintage Market.